The Williamson Surface Pro Lures are versatile top water plugs for all game species. Great for walk the dog, slash, rip and stop, slow or fast retrieve techniques. These lures are precisely weighted for maximum casting distance. 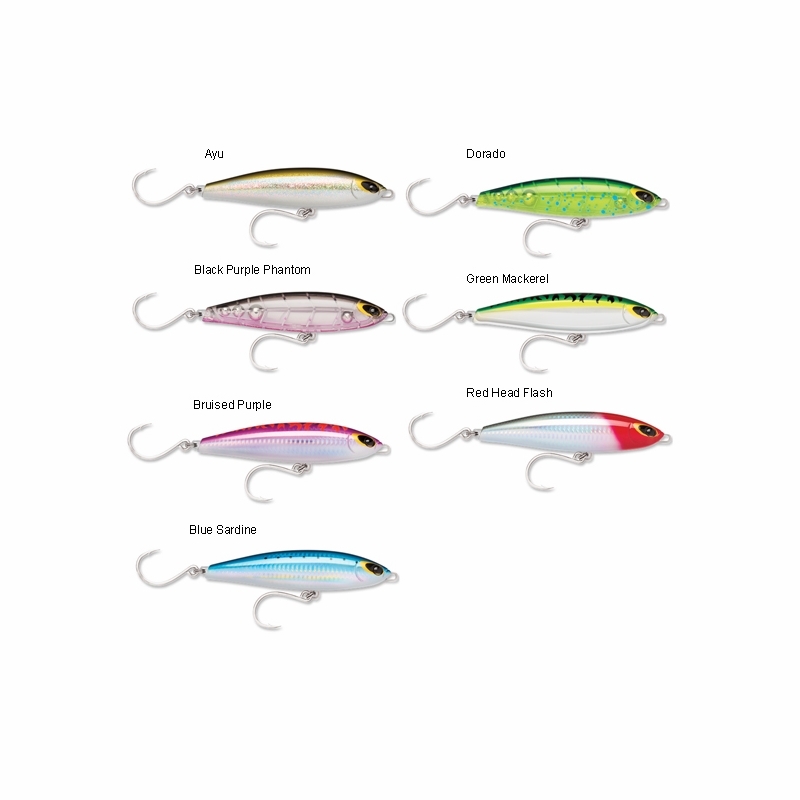 These lures also have in-line hook design for optimum swimming action, point exposure and hook set. Excellent walking action. The fish love it!!! Just got one of these delivered to me and it looked great. Had to walk down to the river and try all the new lures out ! Casted this on my 12 ft tsunami surf rod rated 2-4 oz with a 8500 penn spinnfisher v.
Cast great even tho it was really windy outside, worked it with asteady retrieve and working it with the rod. 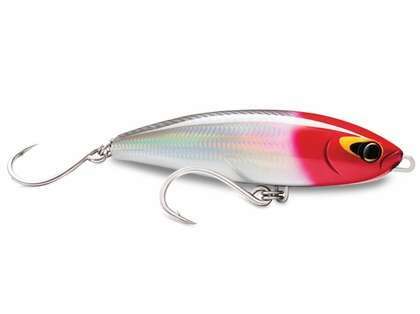 The lure has a great erratic movement and works well in hte waves. Cant wait to try it on hte GTs! ProsCast well even in windy conditions. 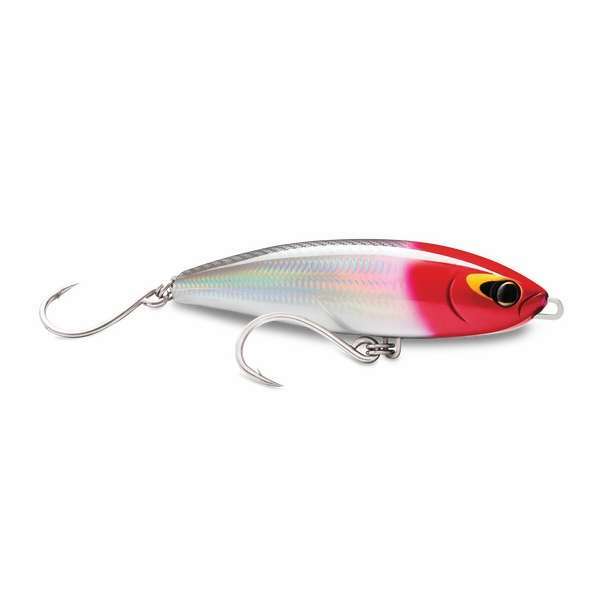 Has a great erratic side to side movement that is sure to trigger a bite! Great hooks! ConsI did up grade the splitt rings but that is just me. A friend of mine turned me on to these lures. He used them down in costa rica on a tuna and rooster fish trip. Said the swimming action is awesome and that I should try them up here in the northeast for tuna. He said the construction is good and I like the many colors they have. Haven't cast the lure yet but it looks like it will cast well with a tail weight added and I like the single hook construction. The single hook construction is nice for when releasing fish and is a new thing that a lot of companies are doing now. Excited to use it because my friend said it was a killer when down in Costa Rica. Most likely will be buying more in the future. They are priced pretty reasonable compared to the Shimano Orca lures which I own and love to use as well. Williams suspended lure can make various action. even though its light weight I can make popping action also wounded fish action. inline hook make easy unhook as well as safe on my finger too.